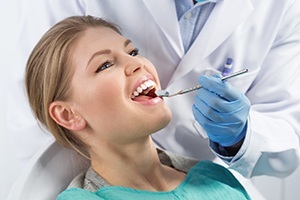 While Dr. Eick and our team are able to fix any dental problem you can imagine, we’d much rather help our patients avoid issues in the first place! That’s why we put so much of our focus into preventive care. With the services detailed below, we’ll ensure that a small problem doesn’t have the chance to become a big one, and we can stop many before they even begin. 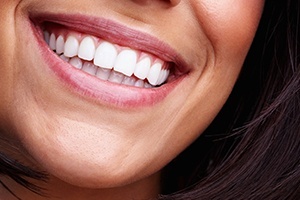 We’re ready and able to safeguard you and your family’s smiles, so contact us today to schedule an appointment! 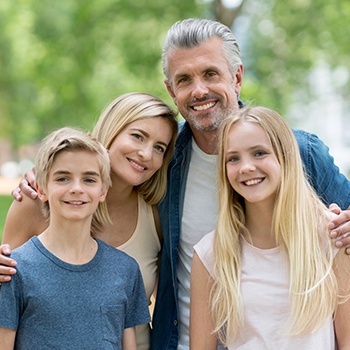 Why Choose Dr. William Eick for Family Dentistry? We recommend that patients of all ages should come to see us for a checkup and cleaning at least twice a year, or once every six months. 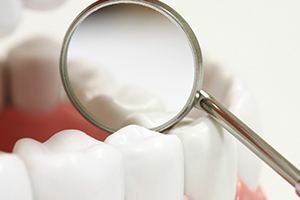 At these appointments, Dr. Eick will examine your teeth, gums, jaw, bite, and existing dental restorations looking for any signs of decay or damage. If he finds anything, he’ll be able to offer you treatment options to take care of it right away. 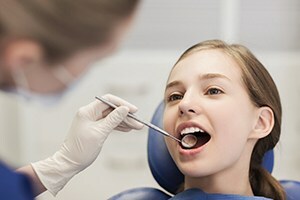 One of our hygienists will also use sophisticated tools to remove harmful plaque and tartar from your mouth, specifically targeting those areas your brush and floss can’t reach at home. The teeth towards the back of the mouth are actually the most vulnerable to developing cavities. Their rough and pitted surfaces easily trap plaque and bacteria, plus they can be quite tricky to clean as well (especially for young children). Fortunately, we can use something called a dental sealant to give these teeth some extra protection. We simply apply a plastic-based liquid to them, and it quickly hardens into an invisible barrier that cavity-causing agents cannot cross. Bruxism is a very common problem where someone unconsciously grinds their teeth while they sleep, which can slowly wear down the teeth to the point that they actually break! To help patients with this issue rest easy, Dr. Eick can have them wear a nightguard to bed, which is a small, custom-made oral appliance. It places a firm but comfortable barrier between the rows of teeth that prevents them from coming together during the night. An active lifestyle often includes athletic activities. While exercise and organized sports can improve your whole health, it's important to protect your smile when you're in the game. 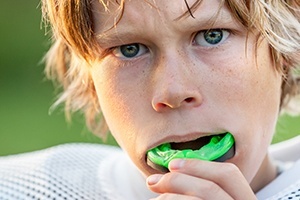 We encourage our patients to wear custom-fitted mouthguards during most sports activities. 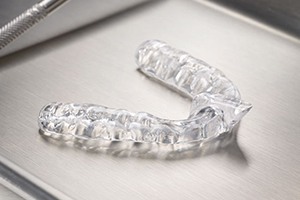 When you or a loved one needs a mouthguard, you can choose from over-the-counter bite-and boil products or custom-fit appliances. Both styles will protect your teeth, but custom mouthguards generally offer a more comfortable fit. For a mouthguard, Dr. Eick will take an impression of your teeth and create a precisely molded acrylic appliance that's comfortable to wear. Remember to clean your mouthguard regularly with a toothbrush, and always dry it thoroughly before storing. Oral cancer is an often fatal disease that needs to be detected early in order to ensure successful treatment, but its initial symptoms can be very easy to miss, leading many to not be diagnosed until it is quite advanced. To keep our patients protected, we perform an oral cancer screening at every checkup using the VELscope light. This device actually causes potentially cancerous cells that would normally be invisible to the naked eye to illuminate, enabling us to find the disease as soon as possible. Children have their own unique set of dental needs, and at our practice, Dr. Eick and our team are more than happy to meet them. We go out of our way to ensure that our little patients remain comfortable from check-in to checkout, and we have a number of kid-friendly services that are perfect for developing smiles. We even take time during appointments to teach children about the basics of dental care so they will form healthy habits that will serve them well into adulthood. Gum disease is the most common dental problem in the entire world, and it’s an infection that causes red, swollen, and tender gums, and it can often lead to tooth loss as well! We perform dedicated gum screenings at regular checkups, and if necessary, we have a number of therapies specially designed to eliminate infection at the source, including deep cleanings and antibiotic therapy. With our help, we’ll ensure that this global problem is never a concern for your family! 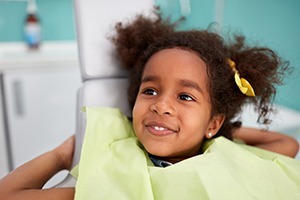 Does going to the dentist make you or your child feel anxious? 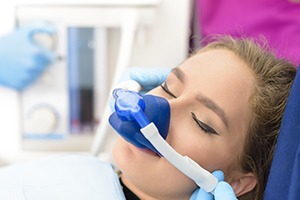 If so, you’re far from alone, and we’re ready to help you overcome those nerves with gentle nitrous oxide sedation. All a patient has to do is breathe in the colorless, odorless gas through a small nasal mask to achieve a complete sense of mental and physical relaxation. Even better, once an appointment is over and the mask is removed, the gas’ effects wear off almost immediately, enabling a patient to go straight back to their day. Does your partner complain about your loud snoring every night? Do you constantly feel tired no matter how much you sleep? If so, then you may be suffering from sleep apnea, a disorder where a person actually stops breathing for short periods of time throughout the night. However, with a small custom-made oral appliance, Dr. Eick can help patients stop snoring and overcome sleep apnea so they (as well as the people around them) can get the quality sleep they deserve every night. The TMJ (temporomandibular joint) is an often overlooked part of oral health, but it’s actually extremely important! It’s the joint in your lower jaw that enables it to move in all directions, and like other joints in the body, it can often develop issues due to strain, stress, injury, or arthritis. Problems with the TMJ can cause pain and stiffness in the jaw, chronic headaches, and even soreness in the neck and shoulders. Fortunately, Dr. Eick has the special training to both diagnose and treat these kinds of issues right here in Rocky River. 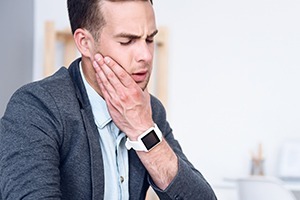 With equilibrations to rebalance the bite or an occlusal splint to slowly adjust the jaw into a more relaxed position, he’s able to help patients achieve long-term relief so they can live their lives pain-free.